Customer-focused planning services for the successful performance, adaptability, and maintenance of your unit. Fully customized, high quality systems for central station, make-up, recirculation, rooftop, desiccant dehumidification, high pressure, heat recovery and penthouse applications. Using the latest design technology for optimal unit performance including 3D design, structured FEA and CFD. Field supervision, start-up, and training. Design engineering, field installation, testing and maintenance. 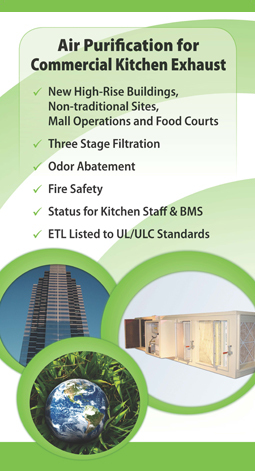 Quiet-Aire provides enhanced unit construction as a standard to better withstand more rigorous equipment demands. Our higher integrity casing system promotes reduced leakage for more efficient unit performance. Quiet-Aire utilizes industrial components to provide longer more reliable product life. Premium efficiency componentry promotes reduced operating costs. In the real world nothing is 100% reliable; therefore provision must be made to provide an efficient method to deal with issues when they happen, without disturbing service to the space. Quiet-Aire's equipment is designed for ease of component maintenance and replacement. Quiet-Aire's equipment is designed exactly to meet your needs. Our equipment design and layout is fine tuned to meet your requirements and ensure optimum, reliable performance.